Use our travel vouchers to discount your car hire from Windhoek. Our readers are our writers, and we give travel vouchers to anybody who emails us a write-up of their flight, car rental & trip. 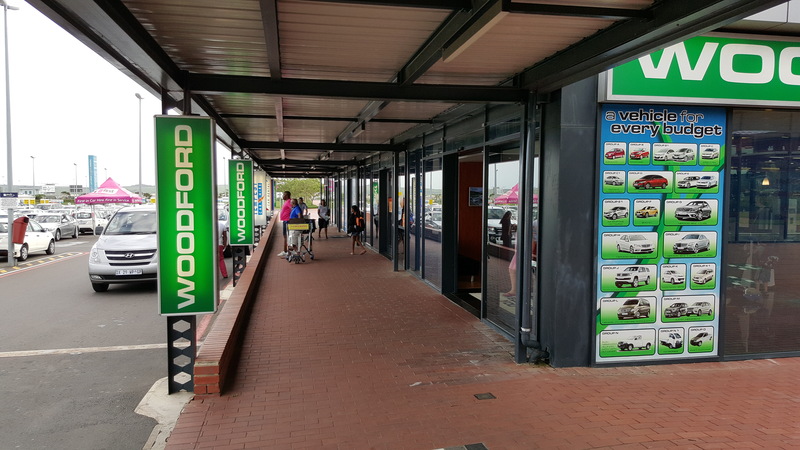 Woodford Car Hire are a family owned business with operations in South Africa, in Cape Town, Durban, Johannesburg, Pinetown and Port Elizabeth. On going through the arrivals gate at King Shaka International Airport, turn left and exit the building. You'll see the car rentals buildings straight ahead slightly to your left. Go past Avis, Europcar and Hertz and then you'll see Woodford (if you get to Tempest Car Hire, you've gone too far).